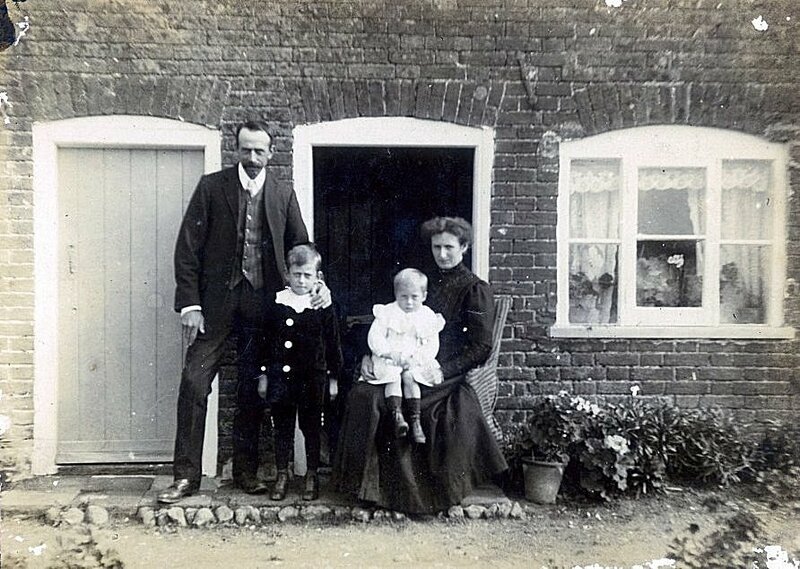 The Lusher family were market gardner's, they first appeared in Mattishall about the mid 1860's when George and Rebekah Lusher's third child (George Lusher 1868) was born here. Rebekah's father (William Bunting) was already farming on the top of what is now known as Mill Road. It appears that George Lusher took over this land. 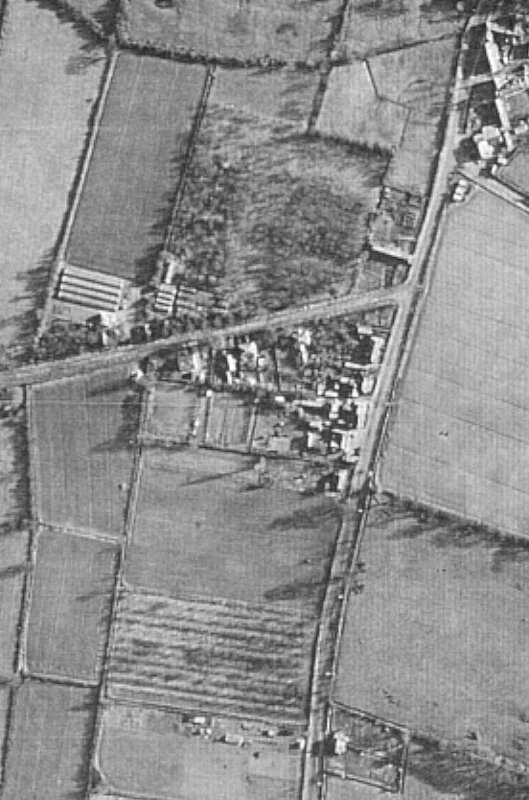 The picture below was taken in 1946 and show the junction of Mill Road (left-right) with Dereham Road (top-bottom), the large buildings on the east side of Mill Road on the left of the picture are greenhouses roughly where Peartree Close now sits, the large field going to the top is now the home of Bob Carter Court. The other roads have names relating to the Lusher's business, Daffodil Way and Holy Close. The west side of Mill Road is now where Robert Key Drive has been built. Then there is Orchard Road and Wesley Close which was named after the grandson of George and Rebekah as he was the last owner, Wesley Lusher. 1861: Census - Swardeston - Need a copy of the actual census sheet. There is no William Lusher born about 1851 at Newton Flotman but there is a William Banham the son of Bayfield Banham a Carpenter and his wife Harriet baptised on Jan 19th 1851 at St Mary church. It appears the Enumerator got the surnames the wrong way round. It appears Humphrey became a Market Gardener before 1871 at Swardeston about the same time his son George became a Market Gardener at Mattishall. The villages are about 15 miles apart so did they work together and where did they get the capital to purchase the land? 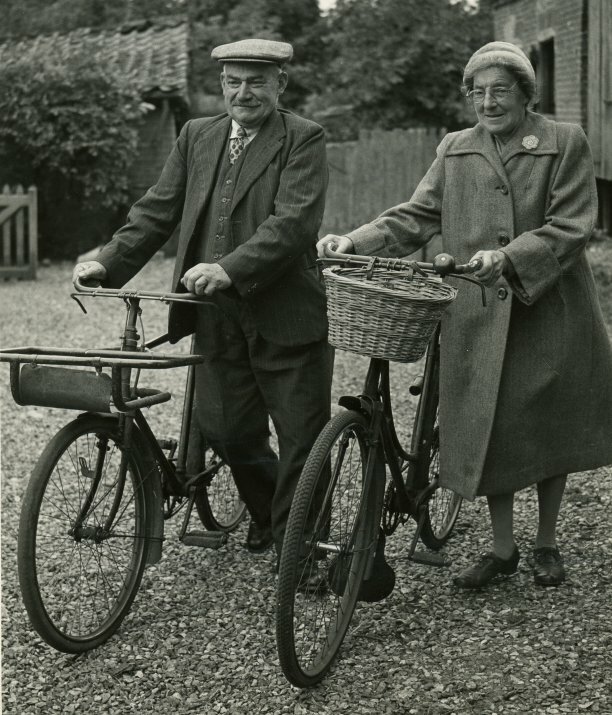 John Lusher married Clara Howard in the Mar quarter of 1890 at Mitford. This appears to be a child of George and Rebecca? In the 1911 census George who was by then a widower states he had fathered 12 children 6 of which had died. George states he had fathered 12 children 6 of which had died. 1916: Death record – George Lusher at Mitford – Jun quarter (4b 309) age 77 - no record of where George was buried! 1871: Census - No record found for Hetty and here parents - Where were they? Lusher's greenhouses were in Mill Road. We went there to buy our tomatoes and cucumbers. Blackberrying time lots of the women and children picked blackberries, took them to be weighed at Wesley Lusher's Barn, we were paid 1d for every pound. Lusher's then sent them to a Norwich jam factory. In those days Mattishall had lots of blackberry brambles: and a nice amount of money could be earned. Holly wreaths were made in the greenhouse for Xmas sale. William was an egg merchant and a society steward at the Methodist church also head Air Raid Precautions Warden for Mattishall. He died very suddenly. During peace time William played both Cricket and Football for clubs.